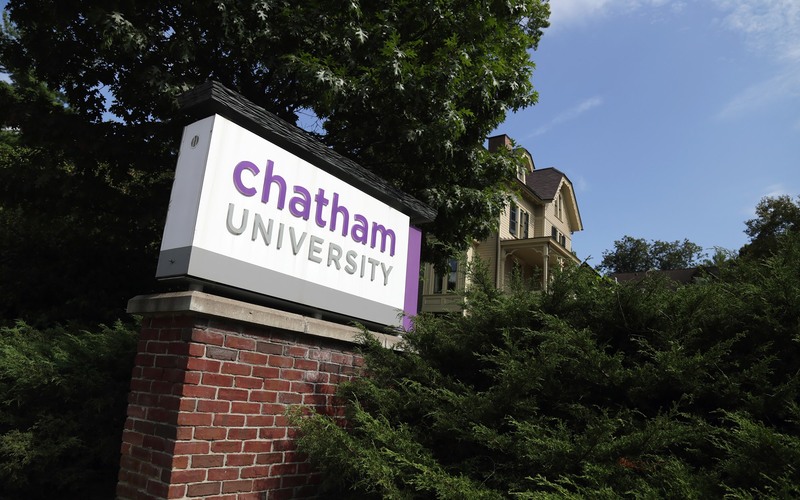 Students can face disciplinary action for self-injury at Chatham University. Three students share their stories. When someone cuts, burns or otherwise hurts themselves, it has an official term: self-injury. Alone it's not considered to be a mental illness, but it can be a symptom of depression, anxiety and other common disorders. Experts explain it like this: People who self-injure are often using physical pain to distract themselves from emotional turmoil. Self-injury is often associated with adolescents, but it's estimated to affect up to a third of college students. So how is self-injury handled on college campuses? PublicSource surveyed eight Pittsburgh-area universities to find out. We found that most of the higher ed institutions see self-injury as a mental health issue. But there is one local university taking a different approach — one that many experts have said is not only troubling but they suggest that it could also infringe upon the protections provided by the Americans With Disabilities Act [ADA]. 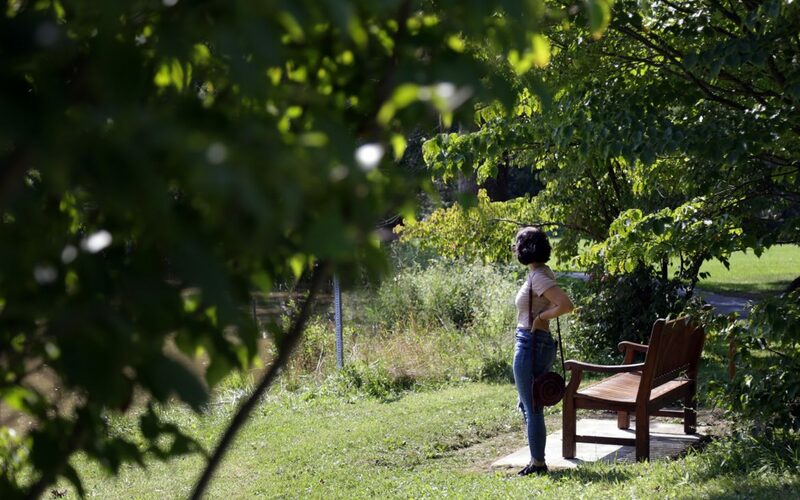 According to the honor code at Chatham University, students can be removed from campus housing or expelled for self-injury, expressing suicidal thoughts or threats or attempting suicide. The policy explicitly states that mental health conditions, or the use of drugs and alcohol, will not “diminish or excuse a violation” of the honor code. Campbell wrote in an email to PublicSource that the university’s self-harm policy is in place to help students at risk of self-harm. But three former Chatham students who self-injured while attending the school feel the policy had the opposite effect and created an environment in which students try to hide mental health issues instead of seeking help. PublicSource reached out to Campbell for comment on the treatment of the three students whose stories follow; he responded in an email, stating that Chatham does not comment on the experience of current or former students for privacy reasons. When Chelsea just started at Chatham, she said she felt accepted in a way she never had before. Over time, that would change. Chelsea, like an estimated one in five young adults, lives with a mental illness. 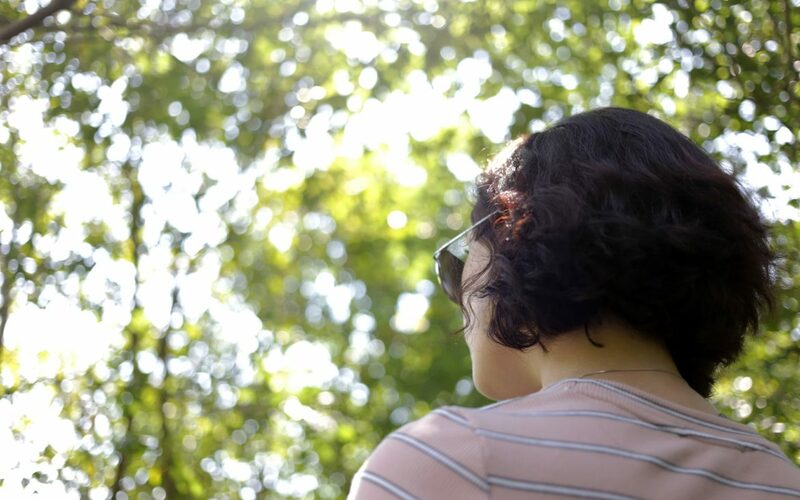 Her diagnoses of obsessive compulsive disorder and bipolar disorder came near the beginning of her college career and, at one point, she took time off from school because of it. She received treatment and then enrolled in an intensive outpatient program, which allowed her to return to Chatham. For two semesters, she was doing better. Over summer 2013, Chelsea said she became manic and was hospitalized shortly after hurting herself. Doctors changed her medications. Chelsea was hospitalized again and spent roughly a week in Western Psychiatric Institute and Clinic in Oakland. She says she was in the hospital when she got news that Chatham was putting her on disciplinary leave. Chelsea was told she was a disruption to the community due to the text messages she’d sent about planning to hurt herself, some of which had gone to friends on campus. She was devastated. The semester before Chelsea’s mental health crisis, another Chatham student died by suicide off campus. Chelsea thinks that suicide combined with a friend feeling distressed over her text messages and visiting student health services played a role in the way events unfolded. "Our self-harm protocol is designed to assist in identifying these at-risk students and help them." Chelsea believes Chatham was likely able to put her on leave because of the self-injury clause in the honor code. When she was leaving campus, she says she was treated like a threat to everyone. She had lived on campus and needed to pack up her belongings. The university assigned staff members to supervise her packing. PublicSource attempted to learn more about when the self-injury policy was created, the reasoning behind it, how often it has been used and if university officials had discussed whether the policy complies with the ADA. Campbell, however, declined to respond to additional questions. In recent years, students from universities across the country, including Brown, Princeton, Harvard, Yale and others, have shared troubling anecdotes of mandatory leaves, evictions and, in some cases, the institutions they once called home refusing to readmit them after a mental health crisis. Schools may remove students who are a threat to others; however, they can face consequences for removing students for simply being mentally ill. In regards to Chatham’s policy, PublicSource sought out the opinion of mental health professionals, education consultants and legal experts. Jennifer Mathis, an attorney who serves as deputy legal director and director of policy and legal advocacy at the Bazelon Center for Mental Health Law, said the ADA’s protections extend to individuals who self-injure due to a mental illness. “I don't want to get kicked out. You know, I spent so much money here." However, she said if a person is not qualified for a position, in this case to be a student, or if the person is threatening others, the situation may be different. “But I think just the mere fact of somebody engaging in self-harm doesn’t make that person unqualified,” she said. The National Center for Higher Education Risk Management [NCHERM] is a Pennsylvania-based law and consulting practice that provides legal counsel for schools and universities and advises them on how to address issues from bullying to complying with federal regulations. One of the NCHERM consultants, Aaron Reese, serves as dean of students and assistant vice president of Student Affairs at Columbus State University in Georgia. He advises colleges on best practices. He said self-harm and suicidal ideation should not be an offense punishable by expulsion because of the ADA. “Nobody should have that policy,” he said, adding that he believed if the university was ever challenged in court on this policy, they could encounter a problem. Holly Harmon, the head of Robert Morris University’s counseling center, said such approaches as the Chatham policy could stem from a lack of understanding about why individuals self-injure. Harmon explained that every student she has worked with who self-injured had a different reason. “Going back many years, people didn’t see [self-injury] as a medical issue and a mental health issue,” she said, “they saw it as a conduct issue and that’s simply not the case." Chelsea was not the only student to share her experience at Chatham. Tiffany found herself dealing with depression in her final semester at Chatham in 2016. Her senior year had started out well enough; she was on track to graduate a year early. She had a supportive group of friends and, for the second year, she was serving in a leadership position on campus she enjoyed. However, she found her mind increasingly filled with suicidal thoughts. She is not alone in this; one in 12 college students admit to having had suicidal thoughts, according to the American Foundation for Suicide Prevention. Feeling afraid, Tiffany reached out to Chatham professionals for help. Tiffany admits her friends have called Public Safety out of concern for her on more than one occasion. Tiffany said she felt pressured to resign by her superiors and that there was an attempt to evict her from student housing. Prior to her resignation, Tiffany visited Western Psych and sought counseling on Chatham’s campus. She liked her counselor, but felt she couldn’t be completely honest with her. After she asked if administrators would be informed if she expressed suicidal intent, she says the counselor didn’t guarantee confidentiality. With a senior thesis to defend and finals to take, telling the truth wasn’t a risk she felt she could take. Tiffany completed the semester and walked in the commencement, however, when looking back she feels Chatham made her depression worse. Brian Van Brunt, an NCHERM consultant with 20 years of experience in counseling, said most universities don’t explicitly name self-harm as an activity that could prompt a mandatory leave. Locally, Robert Morris University has a medical withdrawal policy where, with approval, a student could withdraw from classes without being penalized, or receive care at the university’s counseling center. Ian Edwards, assistant vice president for Student Wellbeing and director of Counseling Services at Duquesne University, told PublicSource via email the university only gets involved when a student’s function is impaired to the point that it comes to the attention of the Vice President for Student Life, “then a sanction that requires treatment can be in order.” At Columbus State University in Columbus, Georgia, there is the option of a medical withdrawal or to remain on campus if that seems in the student’s best interest. Van Brunt said the Chatham policy is extreme. “It reads very heavy-handed and broad,” he wrote in an email. “I couldn’t dislike the tone and language in this policy more." 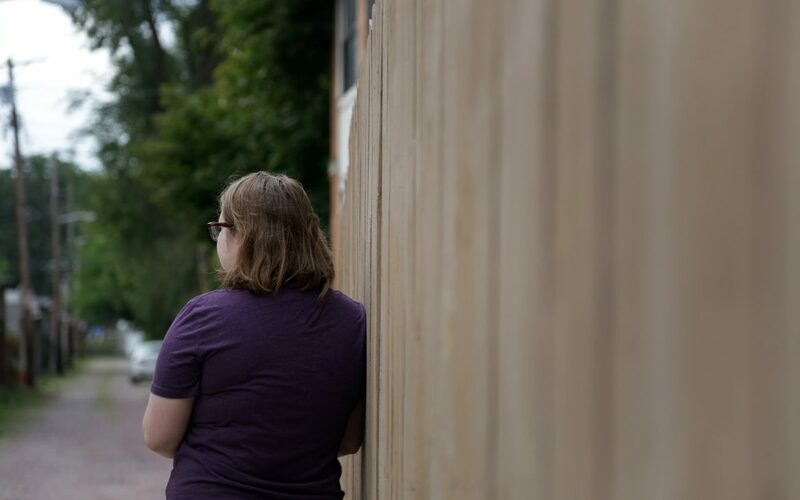 For another Chatham student, the policy’s existence caused her to mask her symptoms. Monica often found herself driving by Chatham’s campus on visits to family members growing up. Impressed by the scenery, she decided she wanted to attend the university. Adjusting to life on campus was difficult for her. She had trouble making friends, a roommate she didn’t get along with, and a diagnosis of depression that didn’t help matters. She went to the university’s counseling center, but was simply told to join clubs. She began to spend more and more time off campus, which only increased her feelings of isolation. “I finally just snapped and beat my face black and blue, gouged holes in my skin, pulled my hair out. I was so angry and lonely at the time. My girlfriend called the crisis line and they said to go to Western Psych. I did, and they admitted me,” she said. Monica spent a week in Western Psych and decided to take a leave of absence from Chatham. When she did return to campus the next fall, she decided not to speak with any Chatham staff about her mental health. “I just didn’t feel like it would be a positive experience. I just kept it to myself, I sought help from outside sources, outside of Chatham,” she said. “I don't want to get kicked out. You know, I spent so much money here." Although the three students mentioned differed in majors, diagnoses and school years, they all felt Chatham University treated them poorly in regards to their mental health. Chelsea never returned to Chatham University. Monica feels that being on Chatham’s campus only made her mental health worse. Tiffany said she’s renounced Chatham as her alma mater. Atiya Irvin-Mitchell is a PublicSource intern. She can be reached at atiya@publicsource.org. We found that most of the higher ed institutions see self-injury as a mental health issue?